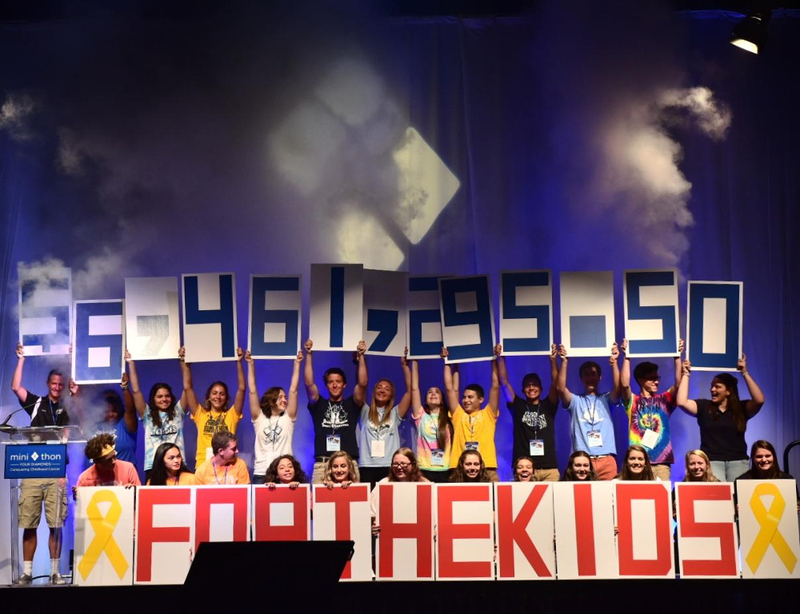 As Four Diamonds Mini-THON enters its 25th year of helping families in the fight against childhood cancer, the program is celebrating the success of students, teachers and the community in raising $29.5 million over the last quarter century. During the 2016-2017 school year, 90,000 student volunteers hosted 265 Mini-THONs, raising $6,461,295.50 for Four Diamonds at Penn State Children&apos;s Hospital. The fundraising total, which reflects a $1 million increase over the previous year, was announced this morning at the Mini-THON Leadership Summit in Hershey. Mini-THONs are modeled after the Penn State IFC/Panhellenic Dance Marathon, or THON, the world&apos;s largest student-run charity. The money raised is used to drive the discovery of better, more effective treatments for childhood cancer, through funding more than 80 pediatric cancer research team members at Penn State College of Medicine; and to ensure that every child treated for cancer at Penn State Children&apos;s Hospital has no out-of-pocket costs for their families. The Mini-THON Leadership Summit brought together more than 1,000 people – including high school and middle school student leaders and advisors – to share best practices, celebrate successes and inspire each other to continue the fight as they organize Mini-THON events for the coming year. Mini-THON gains more momentum every year, growing 300 percent over the past six years. “We are so grateful for the remarkable young leaders who have joined the Mini-THON movement to conquer childhood cancer,” said Kristen Masengarb, director of the Four Diamonds Mini-THON program.